IRMA SUÁREZ RUIZ, Artistic Director, was born in Chicago, then moved to Mexico City to live with her family. Her formal dance training in classical ballet and Spanish dance began with Dame Libby Komaiko in 1979. She studied with such Spanish dance legends as Maria Alba, Edo, Paco Alonso, Victorio Korjhan, Juanjo Linares, Roberto Lorca, Timo Lozano, Manolete, Carmela Greco, and Juan Mata and Ana González, founding members of the National Ballet of Spain. Additional studies include those with Cristian Almodovar, Aida Gomez, Rafaela Carrasco, Belen Maya, La China, El Guito, Paco Romero and Candela Soto at the Amor de Dios Flamenco Dance Academy, as well as classical ballet with Anna Czajun. Irma graduated with honors from NEIU in April 1983 with a B.A. in Foreign Languages and Literature and a minor in Dance. Irma has been honored with the Artistic Ambassador Award from the Ruth Page Foundation and NEIU in recognition of her artistic achievements and contributions to dance internationally. Irma was recognized by the St. Louis Flamenco Society for her longstanding commitment to the art form, and was part of the Chicago Department of Cultural Affairs’ Viva Latina series. 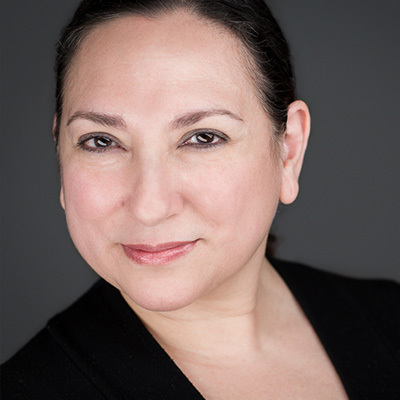 She is part of the NEIU’s dance faculty, and was a guest choreographer with the Civic Ballet’s production of Black Tights/Spanish Rhythms presented by the Ruth Page Dance Series. She is an accomplished choreographer, contributing five full ballets for the professional company, and many works for both the organization’s Youth Company and arts education program.